Governments all over Europe are crafting policies and regulations that will lead to electric vehicles almost entirely replacing diesel and petrol cars within thirty years. In the UK, national policies are focused on creating the infrastructure for the electric vehicle revolution, but other policy initiatives and conflicting local priorities could impede the wider public policy goal. Throughout Europe the transition from petrol and diesel vehicles to electric cars is well underway. Almost half of all new vehicles purchased in Norway in 2017 were electric vehicles. In the UK, the figures are rather more modest, electric vehicles make up only 2% of all vehicles on the road, but their number increased tenfold between 2012 and 2017. It seems that we are all heading for an electric car dominated future. And yet, policy makers emit confusing and sometimes contradictory noises on this issue. In the UK, whilst the government prepares the legislation that it believes will ensure sufficient infrastructure for the electric car revolution to thrive, large cities are setting ambitious targets to cut the number of cars on their roads. Are the policies on electric vehicles of central government actually on a collision course with those of local government? The biggest perceived barrier to the take-up of electric cars, other than cost, is seen to be a lack of charging infrastructure. There are two components of this issue. The first is that a large number of car owners in the UK do not have access to off-street parking, making it hard for them to charge their cars when they are at home. For instance, 60% of Londoners do not have their own garage or driveway, and would therefore be required to use on-street charging points. The second is that there needs to be enough chargers stationed on major arterial roads, and they need to charge cars quickly, ideally in half an hour. Will traffic jams be replaced with ‘charging jams’? The second policy solution from central government is focused on those who need to drive cross-country. There will need to be a network of chargers that can deliver a significant or full charge in around half an hour based at motorway service stations and key interchanges in the main roads network. 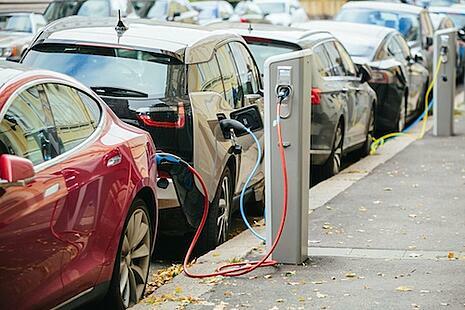 Clauses in the Automated and Electric Vehicles Bill currently going through Parliament, will give the government the power to oblige petrol stations and park-and-ride car parks to install electric vehicle charging points. Although range anxiety is currently a major factor facing the industry, electric vehicle technology is developing quickly, and limited range is becoming less and less of an issue with each new model. Even with battery capacity becomes less of a limiting factor, capacity in terms of the number of charging points around the country may continue to be a challenge. Since it takes far longer to fill up an electric car (even with the fastest chargers) than a petrol or diesel car, charging facilities will probably need to be more numerous than petrol pumps, in order to avoid traffic jams being replaces with ‘charging jams’. The Automated and Electric Vehicles Bill also contains provisions on interoperability of charging technology. Currently, electric car drivers often have to carry a range of adaptors in order charge their vehicle in different locations, and there is a fear that certain manufacturers might design vehicles which can only be charged using bespoke charging points. The bill seeks to avoid this problem by creating provisions for the government to mandate interoperability of charging points should such action be required. Will there be enough electricity to go around? Another concern is that an increase in electric vehicle charging, particularly in the evening as people return home from work, will put unsustainable pressure on the electricity grid. National Grid has produced one estimate that electric vehicles could account for an increase in peak demand for electricity of around 8%, which contrasts with their worst-case scenario of 30GW of additional peak demand (roughly equivalent to the output of 10 nuclear power stations). National Grid consider that the more realistic level of demand would be offset by technology built into chargers which would delay charging until off-peak times of the day (i.e. overnight). Such “smart charging” technology is also envisaged by the Automated and Electric Vehicles Bill, which includes provisions for charging points to monitor and record energy consumption, as well as to achieve energy efficiency. Another mooted solution is “vehicle to grid technology”, which allows electric vehicles to return electricity to the grid at periods of high demand. The government announced a £30 million investment in vehicle to grid technologies as part of its Industrial Strategy in February 2018. However, the viability of this technology has been questioned, with Tesla CTO JB Straubel commenting that vehicle to grid is "something that I don’t see being a very economic or viable solution -- perhaps ever, but certainly not in the near term." While there are significant policy initiatives aimed at encouraging drivers to switch from petrol and diesel to electric vehicles, these can at times be seen to clash with the major policy drive in urban areas to reduce the number of cars on the road altogether. Indeed, while the gradual switch to electric vehicles will reduce air pollution in cities, there are arguments that the switch to electric could increase road deaths and traffic congestion. Many cyclists and other road users complain about the near-silent nature of all-electric vehicles and see them as having the potential to increase accidents. There are also concerns that the current incentives and regulatory pressures that exist for city drivers to switch to low-emissions vehicles may result in drivers of the lower-emissions vehicles choosing to drive into those cities rather than using public transport. In London, the Mayor’s Environment Plan sets a target of reducing car use in the city from 37% of all journeys in 2015 to 20% by 2041. This means that 80% of all journeys would take place via public transport, walking, or cycling. While the national government is aiming to facilitate the switch from petrol and diesel to electric vehicles, London, and other large cities like it, are attempting to encourage a switch away from car use in all but the most necessary circumstances. Electric cars have thus far escaped the attention of regulators in the capital. Indeed, they enjoy some benefits, such as the ability to enter London’s Congestion Charge Zone and Ultra-Low Emissions Zone free of charge. 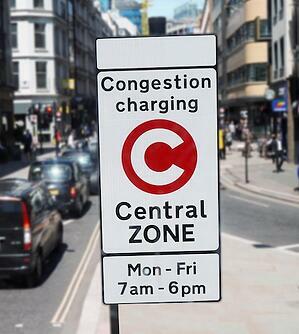 If the current and future Mayors are going to achieve the significant reduction in traffic they are seeking, then it seems likely that congestion charging in some form will need to be applied to electric vehicles in the medium term. Future Mayors will also have to manage the reduction in income from the current Congestion Charge, which makes a net contribution of £160m to City Hall’s budgets. Major cities across Europe are considering congestion reduction measures and seeing that London’s flat-rate daily charge may not be the best option. In Madrid, certain streets have been closed to non-residential vehicles (with an exemption for electric vehicles) and in Brussels consideration is being given to a “positive toll”, which would reward the drivers of multi-occupancy vehicles. Reducing car journeys will obviously require alternative means of transport to be available. Aside from trying to improve public transport, cities have looked to forms of shared mobility to help achieve their aims. The argument goes that if a culture of sharing can be embedded amongst a city’s citizens, then ownership, and congestion, will decline. Some figures indicate that car clubs can reduce ownership by up to a factor of 15. With multiple car sharing, ride sharing, ride hailing and other collaborative economy business models competing for market share, the commercial and regulatory dynamics are getting increasingly complex. Gaining traction in European markets is complicated by layers of regulation involving EU, national, regional and city governments, which all have different approaches and, often, different policy priorities. Some cities are running their own car, bike and ride-sharing schemes while others are leaving it to the market to introduce new services. At the same time, there is a constant tension between the desire to encourage the positive elements of the collaborative economy and concerns about unregulated services disrupting infrastructure and livelihoods. As one of the largest cities in Europe, London is often a market shared mobility companies seek to enter early. However, London is a microcosm of the wider problem of fragmented regulation across Europe. Many issues, such as parking spaces and charging points are the responsibility of the London boroughs rather than the Mayor. As almost all Londoners live their lives across a number of London boroughs, car sharing may be of little use to someone living in Hackney if they work in the neighbouring borough of Tower Hamlets but are unable to park there. The same problem applies to the provisions of charging points for electric vehicles. There are similar issues for UK “city regions”, such as Greater Manchester and the West Midlands, and for regional governments across Europe, which are all trying to co-ordinate sustainable transport policies across a number of local government areas. It seems then that the UK’s electric vehicle future is not as definitive as the government may wish it to be. Whilst the government is seeking to ensure that the correct national infrastructure is put in place to facilitate the electric vehicle revolution, the potential impact on the National Grid, and a potential shortage of chargers could limit the take-up of electric vehicles. Moreover, without joined-up policy making, densely-populated urban areas could see electric vehicle and shared mobility infrastructure being unevenly spread, impacting the lives of those who live across multiple authority boundaries. Electric vehicles will also come up against efforts to reduce congestion and encourage more cycling and walking. Like-for-like replacement of petrol and diesel cars with electric vehicles would not assuage the congestion issues faced by London and many other cities, and electric vehicles may yet pose a threat to the safety of cyclists and pedestrians. Therefore, despite the fact that government policy seems to indicate a general direction of travel with regard to electric vehicles, the more local policy issues of parking, charging and congestion have the potential to interfere with the practical delivery of the government’s policy objectives. Matthew provides monitoring and analysis to clients in mobility, short-term accommodation and the wider sharing economy. He writes a weekly Sector News Summary covering shared and on-demand mobility for some of the leading players in the sector.